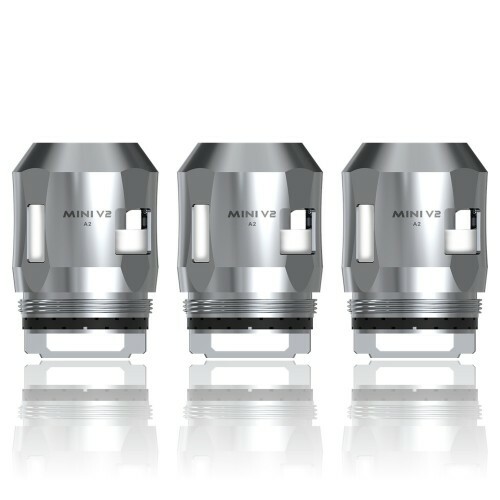 The TFV8 Mini V2 coils come with low resistance, a high surface area and anti-bacterial cotton. Choose between a single coil version with the A1 coil or double and triple mesh coil with the A2 and A3. A3 Triple Coil: 0.15 ohms. Contains three separate heating elements. Simultaneous heating leads to maximum vapour production.